The year of the Surf and Turf. Surf and Turf. Ocean and Earth. Beef and Reef. 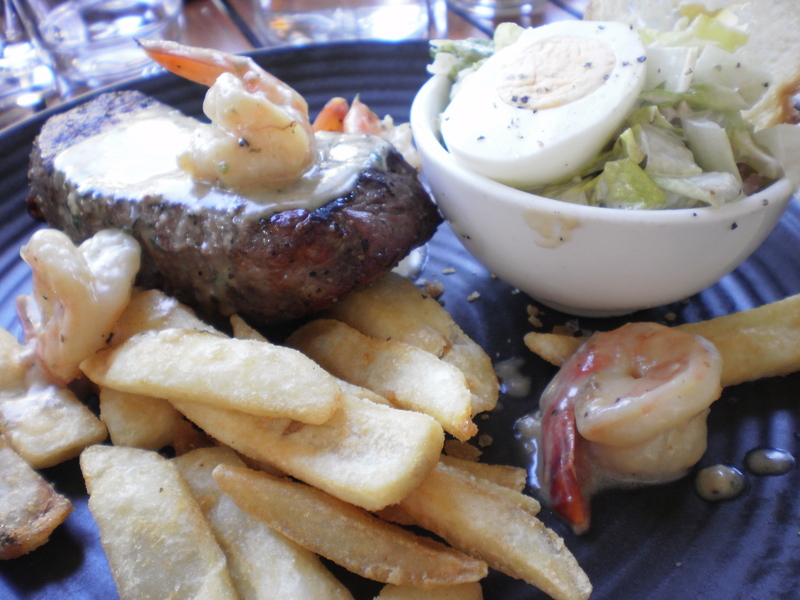 In Australia, this is traditional pub fare: a steak covered with prawns and creamy garlic sauce, with chips and salad on the side. Yes, a massive cholesterol hit, but oh so satisfying! If I’m on holidays, I always try to eat one of those. I love it! So it all started last December in Adelaide. And I will endeavour to have one of those every month for a year. I think I will have to find exotic pub locations, or at least not my local, to make it a bit more authentic. 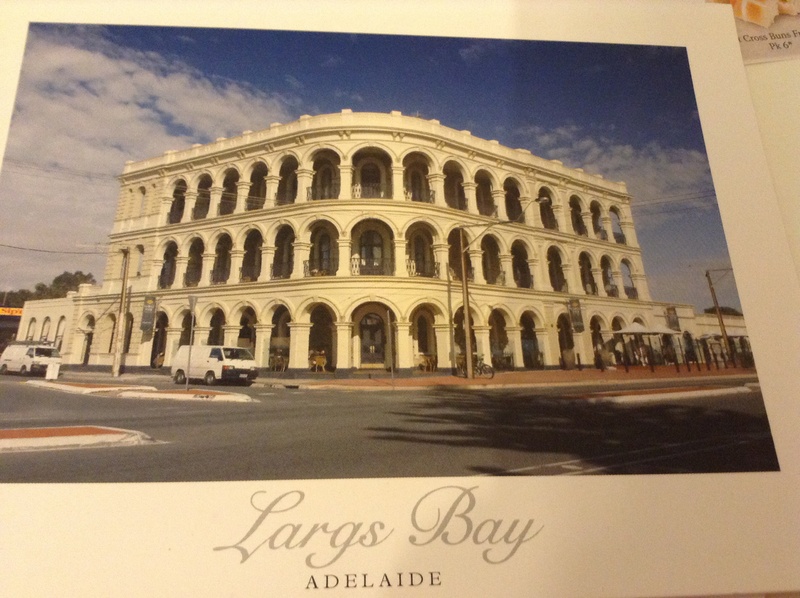 Largs Bay Hotel, Adelaide. South Australia.